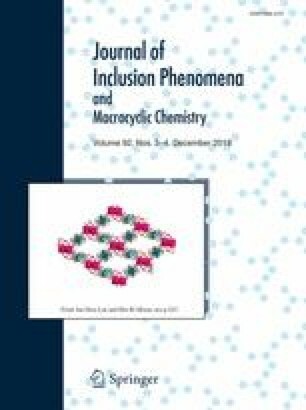 This paper addresses modelling the nature of interactions between β-CD and some coumarins including recently reported novel sulphur analogues to form inclusion complexes of appealing medicinal, photochemical and photophysical properties. The binding energy and the total stabilization energy (EONIOM) are used to confirm the most favorable inclusion complex structure. Thermodynamic parameters reveal exothermic inclusion reaction in gas phase. Thermal stability of fluorescent enzyme substrate of coumarin nucleus increases in the order: gas < cyclohexane < water, indicating better stability in water. Furthermore, molecular characteristics such as optimized geometries, MO’s and electrostatic potential energy map surfaces and energies are reported and correlated with some reactivity indices. Our results validated the experimentally available data reported in the literature. Inclusion complexes of β-CD with coumarins should result in improving its laser efficiency in environmentally benign aqueous medium. This study was funded by Ain Shams University.